Every car has a story to tell. 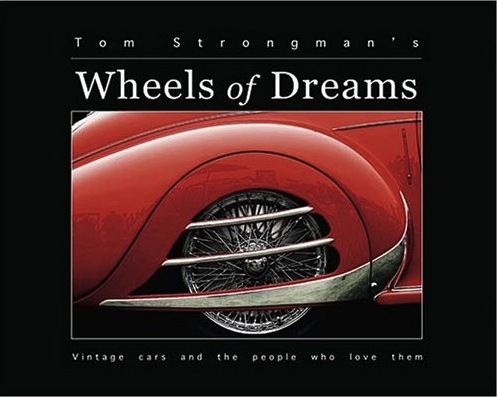 Tom Strongman has found and shares some of those stories in his book Wheels of Dreams. It is a slim but elegant volume. Strongman is a semi-retired newspaperman (Kansas City Star) and his ability to get the story proves the value of such training. Beyond his words however, are the images of his color photography, which is beautifully and artfully displayed throughout the book’s 123 pages. The format of the book is straightforward: Most cars get a two-page spread; some get just a single page, while others cover three pages. Each entry has a few paragraphs of text telling us the who, what, where, and why of how the owner came to possess his or her special vehicle. The range of vehicles that Strongman studies is interesting and includes a rare Iowa-built 1910 Maytag-Mason, a spindly 1921 Model T, an elegant 1938 MG TA Tickford, a purposeful 1952 Kurtis Sprint car, and a full range of Porsches, Corvettes, Cadillacs, Fords, Mercurys and Packards. 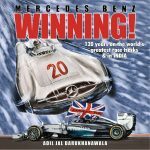 Of late there have been several books that have collected together great cars, often showcasing those owned by incredibly wealthy and famous celebrities. (See the SpeedReaders.info review of garage books, for example…) Strongman’s book differs in two ways. First, not all of the owners of these cars are among the rich and famous but all are people who just happen to love their cars. Second, most of the cars and owners profiled are located in the Midwest, with many of them in his very own Kansas City “backyard”. This is somehow refreshing to those of us who don’t live on the coasts; proof that flyover country has more than its fair share of special cars with dedicated, enthusiastic owners. It is abundantly clear from the pages of Wheels of Dreams that Strongman not only loves the cars, but also loves the telling of their stories. Consider the owner of a 1952 Kurtis Sprint car. He built an replica of his dad’s 50s racer, using the exact Offenhauser engine, rebuilt from a box of parts, that had powered his father’s car to the winner’s circle. Or the woman whose family restored her 1946 Jeep as a surprise to encourage her during her battle with cancer. Or the man who tracked down his first car, a 1969 Camaro, a car that he had sold twenty years earlier, then re-purchased and restored it to perfection. 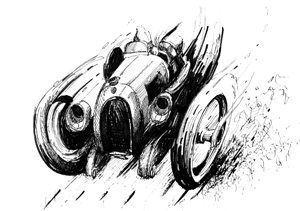 The cars are fun, but it is the people and their stories that make the book work so well. Strongman begins Chapter One with the words “My dad was a Buick man.” He proceeds to tell the story of a life filled with Specials, Centurys, and eventually the ultimate, a Buick Roadmaster. Strongman drove his dad to the hospital in a Buick Roadmaster during the last days of his father’s struggle with cancer. I point this out as an example of the kind of gentle, warm and often sentimental writing that Strongman puts to paper throughout the book. He manages to do this without becoming cloying or maudlin. It isn’t often that a car book provides the reader such emotional equanimity. On a more practical side, the stories of finding a long sought after car or truck, and then spending the time, money and heartache to make it reflect the picture held in the owner’s heart gives hope to those who have a similar vision. Scruffy original or full-blown restoration, each car highlighted inWheels of Dreams is the fulfillment of someone’s cherished desire. Clearly then, I liked this book. I liked the images and the words and the way in which they work together to tell the stories of great (and sometimes not so great) vehicles and the people who own them. Tom Strongman deserves our thanks and hearty congratulations for producing a book that reminds those of us who love cars that there are a wide range of people out there who are just as infatuated as we are.